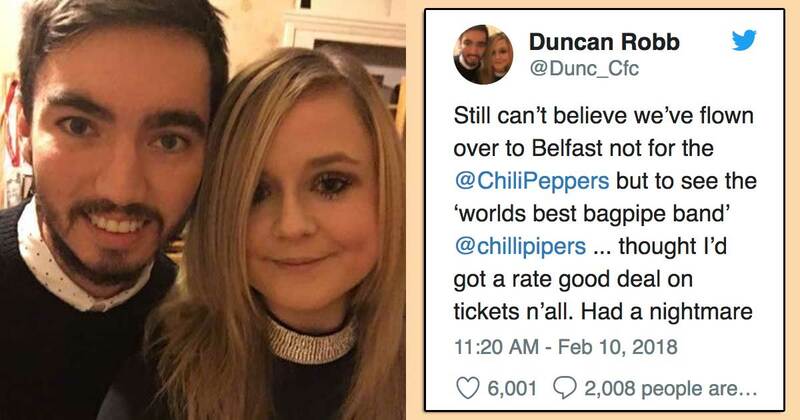 Poor Duncan Robb, he was getting “baes Christmas presents” of some tickets to see the Red Hot Chilli Peppers and it all went wrong. Let’s look at that ticket shall we – that’s not quite the right name is it? Those with long memories might be reminded that this is not the first time this confusion has happened.